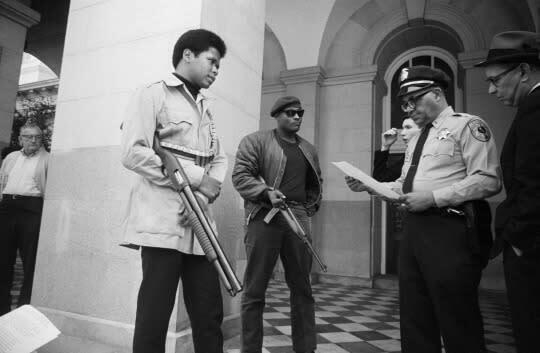 It’s likely that most Americans under 30 — black, white, or otherwise — don’t know much about the iconic Black Panther Party, the militant, black-led, antiracist, anticapitalist political group that sprang to life in Oakland, Calif., in 1966 as a reaction to police brutality. In the following 16 years of its existence, it rocked the country, and the world, with its explosive mixture of black empowerment, community organizing, radical politics, and fierce fashion … not to mention its bloody internal feuds, criminality, and sexism. 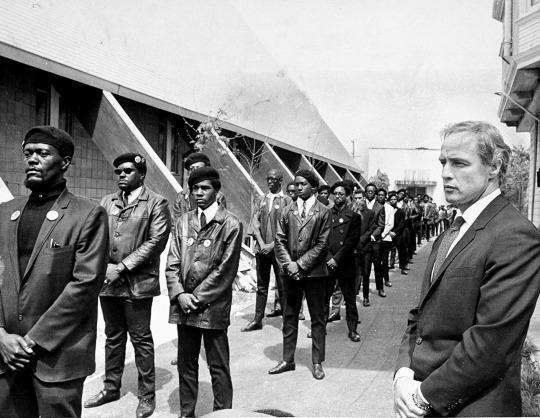 The party upended the civil rights conversation in post-Martin Luther King-era America, and its signature look — berets, huge Afros, dark sunglasses, black leather jackets, raised fists, and openly wielded guns — became synonymous with the 1960s-’70s ideas of black power and black pride. Who would have thought that the previously apolitical Beyoncé would’ve used the halftime show at the Super Bowl — that consummate symbol of corporate American power — to thrust the Panthers back into the public eye 50 years after their formation? But that’s exactly what she did, performing her new song titled, natch, “Formation” — which she’d dropped like a bomb on the planet only the day before — with a phalanx of all-female, all-black dancers in black berets and black leather, the whole ensemble at one point forming an X, as though to invoke Malcolm X (who, just for the record, wasn’t in the Panthers). Some of the dancers later posed making the “black power salute” and holding a sign reading “Justice 4 Mario Woods,” a black man killed in December in San Francisco, near where the Super Bowl took place. Not surprisingly, Bey’s homage to the revolutionary, controversial Panthers sparked an online storm of both adulation and criticism. 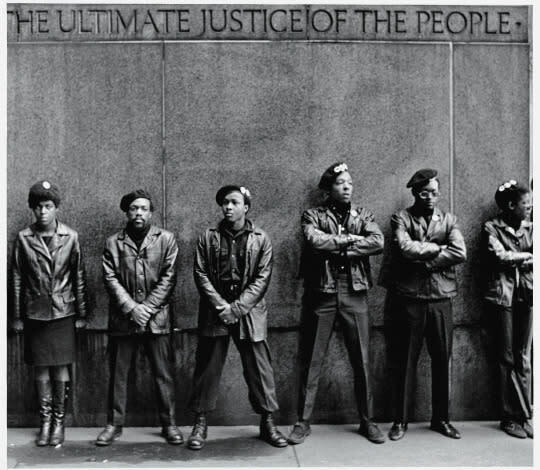 And on its heels, premiering this week on PBS and available on iTunes, comes The Black Panthers: Vanguard of the Revolution, black filmmaker Stanley Nelson’s masterful, footage-rich chronicle of the group. Full of interviews with many of the surviving original Panthers, the documentary has been criticized for downplaying the Panthers’ ugly side but is riveting to watch nonetheless. Before you watch Bey’s Super Bowl shocker for the hundredth time, check out this thumbnail guide to the Panthers: How they began, how they fell apart, and who has copied them since.